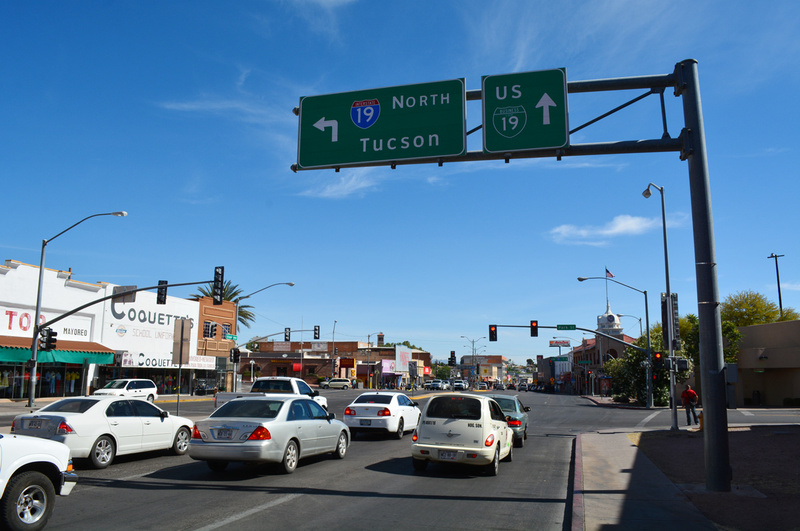 An intrastate route, I-19 has a lone business loop in Nogales and a decommissioned one in Tucson. 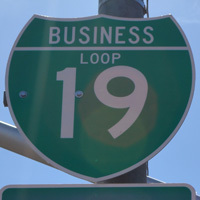 Business Loop I-19 begins at the international border crossing of Grand Avenue, 0.15 miles south of the Interstate 19 end at Crawford Street. The route splits into a couplet of Grand Avenue north and Arroyo Boulevard south between I-19 and North Terminal Street. Beyond the separation, Grand Avenue (old U.S. 89) continues north as a five-lane, mostly commercial boulevard throughout the city of Nogales. The 5.71 mile route concludes at a wye interchange (Exit 8) with Interstate 19. The 20.24 mile route formerly traveled along Nogales Highway north from Exit 69 at the town of Sahuarita. This represented an extent of U.S. 89 not supplanted by the original construction of Interstate 19 south to the Mexico border. 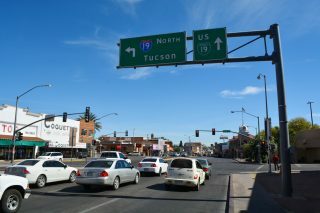 Northward into Tucson, Business Loop I-19 transitioned to 6th Avenue for the final 1.8 miles. The route ended at Interstate 10 (Exit 261), just east of the I-19 northern terminus. Business Loop I-19 was commissioned in place of U.S. 89 when that route was retracted to Flagstaff as approved by AASHTO on June 15, 1992. Decommissioned in 2004, Nogales Highway is no longer numbered as any route. Old U.S. 89 links the Mexican border crossing with Business Loop I-19 in Downtown Nogales. 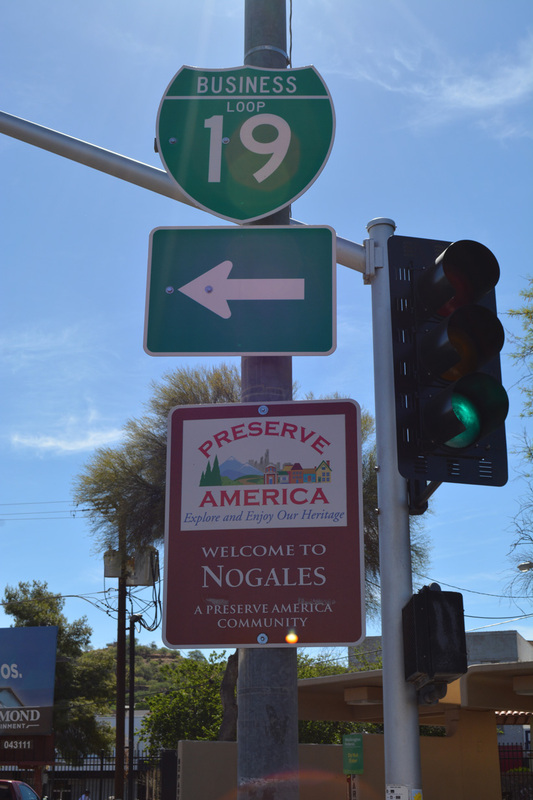 U.S. 89 was truncated from Nogales north to Flagstaff in 1992. Photo taken 04/26/17.